I have always loved the expression The Curate’s Egg because, well, people say I’m a bit of a fence-sitter. Or, as I prefer to put it, not a fence-sitter. I like to consider all sides of a situation from all points of view before giving my opinion. Or you could I’m a fence sitter. But honestly I’m not. So, today, I wish to discuss* the impending closure of Teavana. I have mentioned Teavana before, and I actually went to one in 2013. Sometimes, I lump them in with the (no-longer really) Australian business T2, although the blog link in the previous sentence pre-dates Lipton’s purchase of T2 and Starbucks’ purchase of Teavana. So. let’s start with Starbucks: I dislike them. Not just for nasty coffee in huge cups. They came into Australia with all guns blazing, putting a few local independents to the sword and then when they realised we didn’t like their product, they closed 200 branches in one hit, leaving the 6 profitable ones and putting hundreds out of work. In countries that didn’t have the benefit of Australia’s massive Greek and Italian communities to ensure we all drank better coffee, they put a few local chains out of business, but at least stayed there themselves. It was particularly acute in countries such as India, where they out-sexied the locals, but hey, that’s competition for you. Money talks. When they bought Teavana, it made sense to me. Mid quality product, overpriced, lots of marketing at the expense of quality. Seemed like a match made in beverage heaven. One thing it did seem to do, though, is show that Starbucks seemed to me to be taking the tea market seriously. They had mucked about with an earlier investment, Tazo Tea, but this was something different. But now, it’s over. Teavana is to close. I’ve heard two reasons being bandied about. One is the death of malls and retail. Quite frankly, that’s rubbish. It would be a reason to close some outlets, but not every mall across America is in a death spiral. And even if it were then… move out of malls and into more active retail precincts. They exist. Yesterday I was at Pike Place Markets in Seattle – where the original Starbucks is – and that’s a great example of a thriving retail precinct. The second is that they can’t make enough money from Teavana. It’s profitable, but nowhere near as profitable as their coffee stores. To me that’s an even worse reason. Not because it isn’t true – I assume it is – but because if they ever thought they would be, they had rocks in their head. 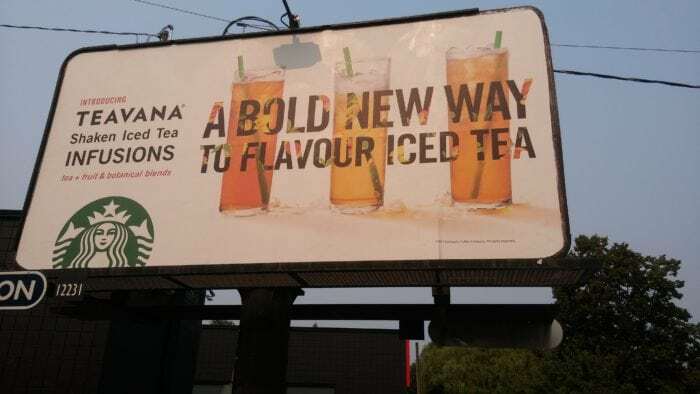 Or maybe they thought their marketing genius could overcome the reality of tea retail. Regardless of the reason, they are closing it down, and this means, once again, a bunch of people out of work. And particularly, at least some of them are genuine tea people who had won the rare gift of being able to work in tea. It’s a very sad day for them. Of course, the biggest worry overall is the loss of a gateway tea provider. While there are no reliable figures, we know that there are people out there who started their tea experience with a Teavava Caramel Strawberry Melon Maple Candied Lemon Marshmallow Bacon Mint and two years later have a ten-a-day Lord Petersham habit and a gonfu set and Ali Shan collection they drag out on weekends. Where are these people going to go now for that first hit, that intriguing free sample that plunges them into a lifelong addiction to tea? Maybe they’ll go to locals who provide anything from black tea and crumpets to seven-round Korean tea tastings and who have struggled to be noticed. Or maybe unique online tea vendors. Or just maybe, some displaced staff, or others, will see opportunity, and open new tea ventures filling the Berry-and-Agave-Cheesecake-Sencha-scented void with new enterprises; new offerings, new blends, new ways into tea. That would be excellent indeed. *This is a ‘discussion’ where I talk, you listen. I vote for the new opportunities.